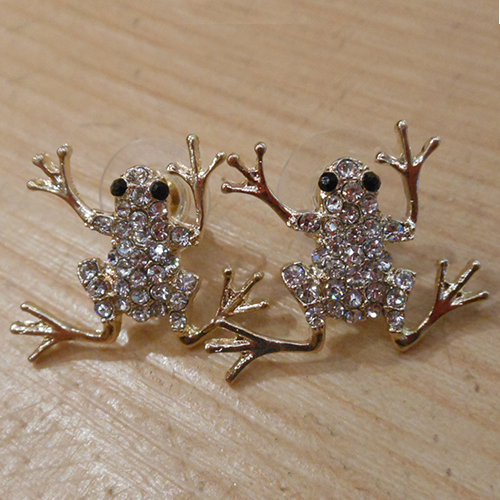 These adorable jumping frog stud earrings are gold toned with clear rhinestones. They measure an inch long and an inch wide, so they are a little oversized. 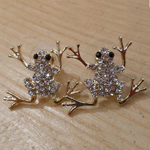 The earrings are made out of nickel free stainless steel, and they have metal backs. These earrings will go with just about any outfit!